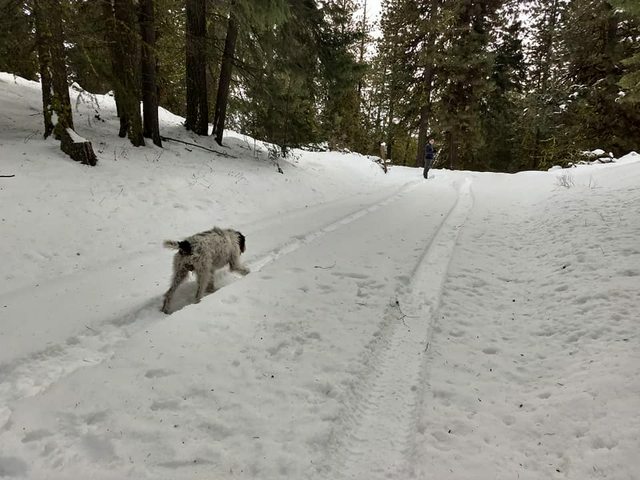 Nosler Reloading Forum • View topic - Snowy Wandering and a Bobcat! Snowy Wandering and a Bobcat! Post subject: Snowy Wandering and a Bobcat! Got out today with my son, my dog, our friends. Ten vehicles today! This was our annual Christmas/Solstice run. Been doing it for years. 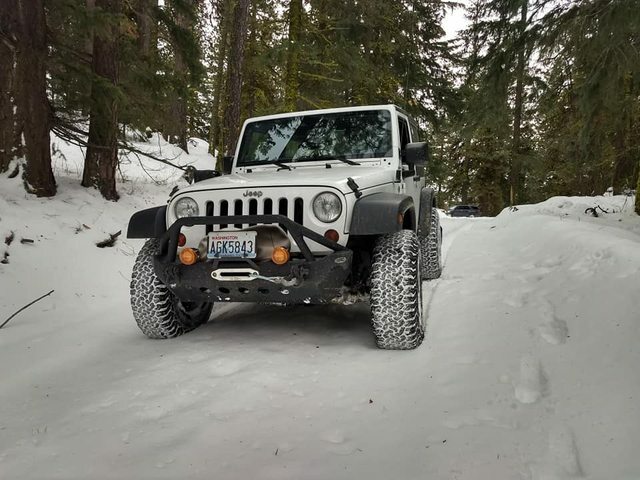 We just go to the nearby mountains, a part of Washington's central Cascades. 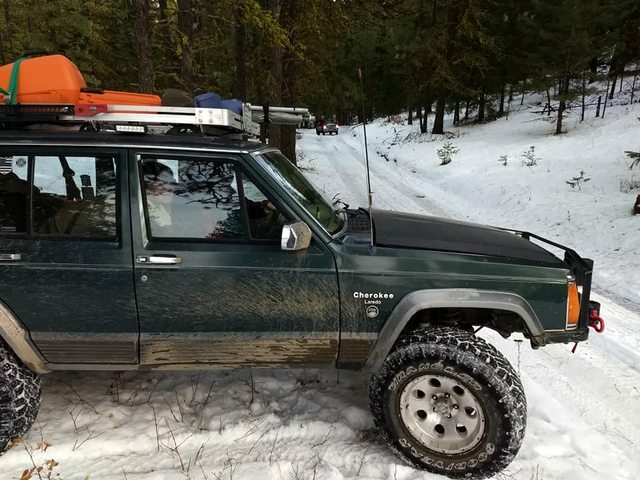 Friend Mark has a very nicely set up older Cherokee as well. He fabricated the very nice front & rear bumpers and the roof rack himself. Handy fellow. 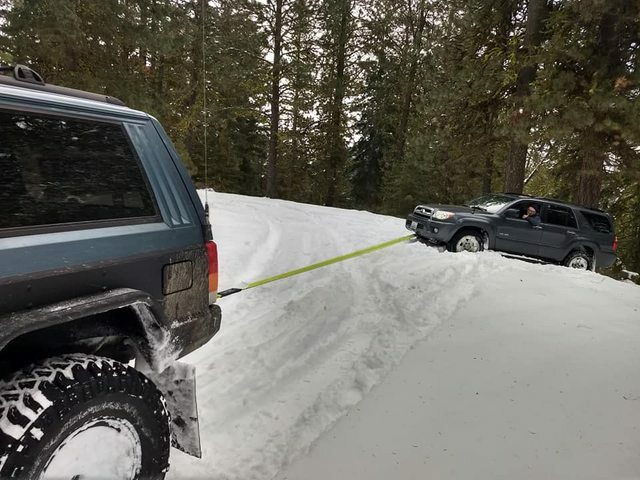 We found miles and miles of unbroken snow! 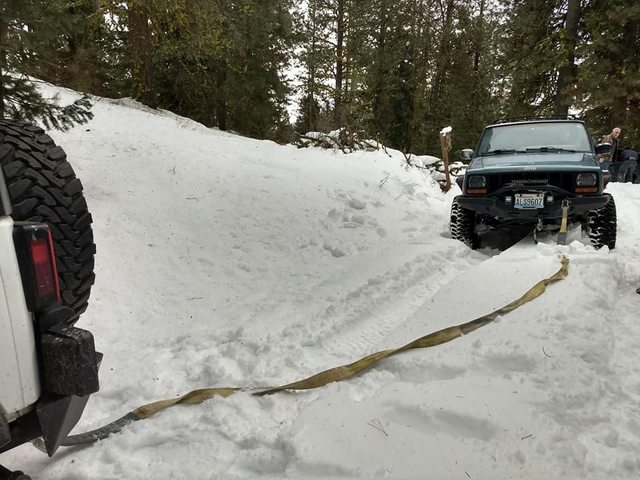 Normally I don't like to use a locking differential in the snow, but today, locking the rear diff and keeping the rpms up was the best way to break trail! I didn't try the front locker, was doing fine without it. Oh - a bobcat ran across in front of my son's Jeep! By the time I could grab my 30-30 and thumb a few cartridges into it - the cat was out of range. But... I can get there again, and next time I'll have a flat-shooting scoped rifle. Hope you guys are all enjoying as Christmas approaches!